Donald Macleod explores the life and music of German early Baroque master Heinrich Schutz. We are in Venice, where Schutz studied with Gabrieli and hobnobbed with Monteverdi. Donald Macleod explores the life and music of German early-Baroque master Heinrich Schütz. Today we’re in Venice, where Schütz studies with Gabrieli and hobnobs with Monteverdi. Landgrave Moritz of Hesse-Kassel did the world a great favour when he suggested to his 25-year-old second court organist Heinrich Schütz that he should head south to Venice and learn at the feet of the Italian master of sound in space, Giovanni Gabrieli – a period of study that left an indelible imprint on the German composer’s musical style. 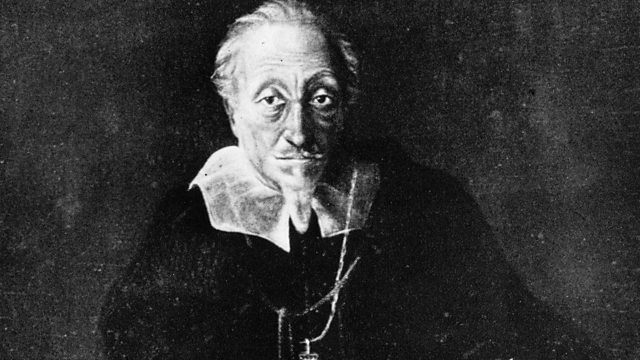 Schütz’s first Venetian sojourn, which began in 1609, was well-timed – Gabrieli was in poor health and had only three years to live. Two decades later, Schütz returned to a Venice where Monteverdi was now the musical kingpin, and found that things had changed a good deal since his previous visit. Once again, Schütz eagerly absorbed his new discoveries into his own musical language, with splendid results – among them his first set of Symphoniae Sacrae, published in Venice in 1629. Performer: Friederike Otto. Performer: Anna Schall. Performer: Andreas Arend. Performer: Matthias Muller. Performer: Ludger Rémy. Singer: Tobias Mäthger. Singer: Georg Poplutz. Singer: Felix Schwandtke. Director: Hans-Christoph Rademann. Performer: Armin Bereuter. Performer: Julian Behr. Performer: Lorenzo Feder. Ensemble: Sette Voci. Director: Peter Kooij. Performer: Sebastian Krause. Performer: Julian Nagel. Performer: Masafumi Sakamoto. Performer: Fernando Gunther. Performer: Andreas Arend. Performer: Matthias Muller. Performer: Ludger Rémy. Singer: Felix Schwandtke. Performer: Margret Baumgartl. Performer: Clemens Schlemmer. Performer: Andreas Arend. Performer: Ludger Rémy. Singer: David Erler. Ensemble: Capella Augustina. Director: Matteo Messori.